There might be at least two unfamiliar dwarf planets out of sight well beyond Pluto, whose gravitational effect governs the orbits and weird distribution of objects detected beyond Neptune. This already has been shown by various numerical calculations. If confirmed, this theory would not only change but also revolutionize solar system models. Astronomers have spent many years debating whether some dim trans-Plutonian planet remains to be revealed within the solar system. According to researchers not only one, but at least two planets must be present to clarify the orbital behavior of faraway trans-Neptunian objects. The most acknowledged theory states that the paths of these trans-Neptunian objects should be scattered casually, and by an observational preference, their orbits must justify a chain of characteristics: have a semi-major axis with a figure near to 150 AU (1 AU is the distance between the Earth and the Sun), an inclination of nearly 0° and an argument or angle of perihelion (perihelion is closest point of the orbit to the Sun) also near to 0° or 180°. Yet what is perceived in many of these trans-Neptunian objects is to a certain extent different: the figures of the semi-major axis are very different (between 150 AU and 525 AU), the normal inclination of their orbit is nearly 20° and argument of Perihelion -31°, deprived of appearing in any circumstance close to 180°. 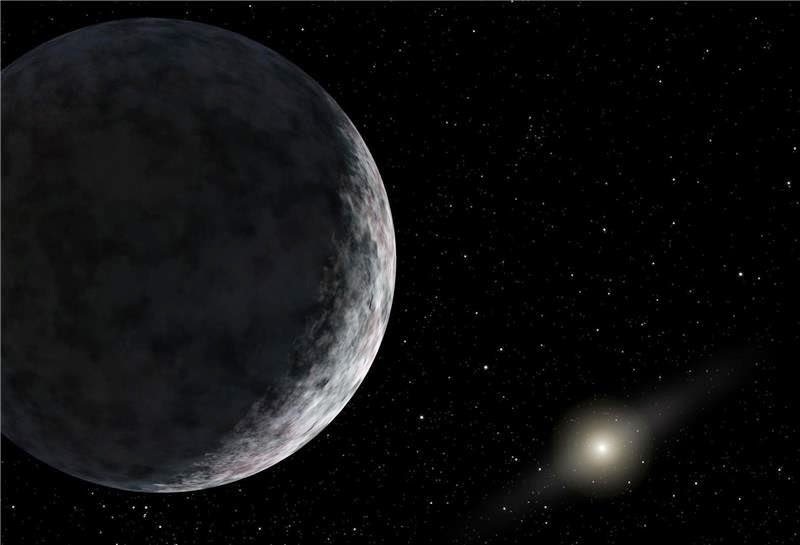 Just last year two scientists from the United States discovered a dwarf planet called 2012 VP113 in the Oort cloud and it was just beyond our solar system. The discoverers say that its orbit is affected by the promising occurrence of a dark and icy super-Earth, which could be up to ten times greater than our planet.